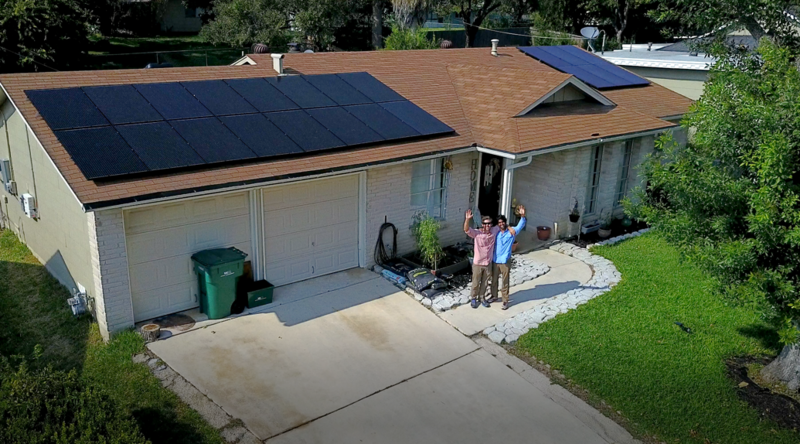 The Sunshine Renewable Solutions workmanship warranty covers anything resulting from the installation of your solar energy system for 24 months from the completion of installation. Although problems that arise from installation typically become apparent very shortly after completion, we offer two years of coverage just so you can be confident in the quality of the work completed on your home. If any concerns arise, we’re not far away. At Sunshine Renewable Solutions, we're in business to enact our mission; "doing good by our community and the environment that sustains it." 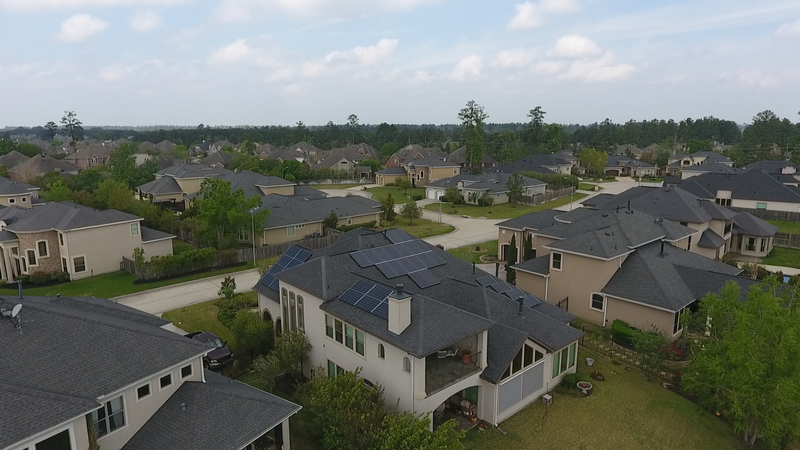 This vision has driven us to take our small company from being a subcontracted install team that has traversed Texas, to a full-scale, turnkey solar company with a strong salesforce and a NABCEP Installation Professional license to boot. We have devoted our careers to the pursuit of moving solar energy forward. We strive to be a part of the energy revolution that will ensure future generations experience energy security while enjoying the bountiful natural beauty of our beloved planet. "Excellent Commercial Installation at Hindu Temple of Woodlands"
I thoroughly enjoyed working with Sunshine Renewable Solutions. Jeff, Adam, Sid and Rodrigo are extremely smart, capable and always kept me updated throughout the process. I highly recommend this company if you are looking to go solar and you will definitely be satisfied with the whole experience. I am so happy to have finally gone solar! I had multiple changes to my system due to tree problems and structural changes to my roof. Sunshine was great at revising designs and providing a really great layout timely with no objections. "I wish I pulled the trigger sooner!" Incredible company & incredibly professional staff & crew. Quote, installation, and monitoring extremely easy and affordable. The Austin rebates made the decision on this investment a no-brainer. 1) They are a team of highly trained, professional and courteous people and it is a pleasure working with them. 2) When I was thinking of going Solar, they walked me through the entire process of making a decision. They carefully laid out the pros and cons with detailed calculations. Never did I get a feeling that Solar energy was being thrust on me. 3) Once I decided to go Solar, I checked around with multiple installers. Theirs was the most economical and enthusiastic bid. 4) They took care of all permissions required for the installation (permissions from HOA, County etc). Never did I have to contact these agencies. 5) The installation was done in a timely manner with great detail for aesthetics. The installed panels look really nice. 6) I was kept educated and updated all through the process. 7) They also helped me decide on a utility company compatible with my Solar energy production. 8) The panels are now producing energy and thanks to an App that they provided, I can monitor in real time the amount of energy produced by each panel. 9) Overall working with them was a very pleasant endeavor. 10) They have my unqualified and unconditional recommendation. 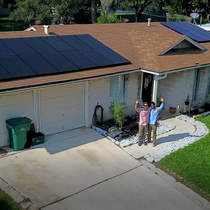 It was a hard choice to make between several solar companies, but in the end I believe these guys did an awesome job. I wanted my electric bill to be as close to $0 as possible and I believe they accomplished that. Since I have a large lot, the best choice was to go with a ground mount instead of roof. Most of the other solar companies would not lower their price, but instead insisted that it was more expensive to put on the ground. Sunshine Renewable Solutions did the ground mount for the same price as a roof mount. Currently they are working out issues with a bad inverter which should be resolved shortly. I highly recommend these guys; Jeff, Adam, and Sid - all did a great job. Great to work with Jeff on my inverter repair, always give prompt response and even work outside normal working hours. "Dr Greg Alexander, Timbergrove Manor, Houston"
What a great company, commanded by young professionals, a Texas Tech Mechanical engineer, with other business degrees, and two,other partners, Sid, and Adam, who round out the team. They are personable, professional, and have gone through all the certification steps to be the best. I hunted for Solar for 3 + years. I had the famous company from California come, and got a price, for set up that only granted me 70% Of my Solar needs, for the same price that I got 96% of my usage from Sunshine Solar. Then, Sunshine Solar came, all was smooth, no games, accurate, easy to get along with, NO PRESSURE EVER, and we got it done. I'm producing now, and love the FAST neat work, attention to detail, and get this. They got me better panels for my 28kW system, (320w ) and then told me they obtained them cheaper, and PASSED THE SAVINGS ONTO ME. I didn't have to haggle them for a discount. Anyhow, hope this helps, I've been wanting Solar for years, and finally got someone that knew what the hell they were doing, the waynI would want the transaction to go. I very much enjoyed working with both Sid and Jeff at Sunshine Renewable Solutions. 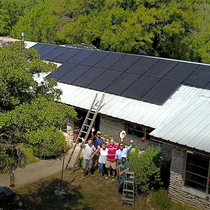 They were professional and capably completed the installation of a 13.2 KW solar system at our home. All of the seven references I called were unequivocally positive about their installations. Sid was disappointed in how long it took for the City of Houston permit and CenterPoint approval process, however the actual installation went quickly. The system has just come on line and is generating the expected amount of power to offset our yearly consumption.  We have had no issues with their work and highly recommend them. I had a great experience discussing a solar solution with these guys. They were informative, open, and willing to discuss many different solutions. I highly recommend them for any and all solar needs. We have been wanting solar for last 5 years and have reviewed at least 5 companies. We almost went with a big solar provider but came across Sunshine Renewable Solutions. We got top quality panels and materials for a very good price. The whole process from the contract sign to the final installation was done smoothly and quickly. I highly recommend this company. 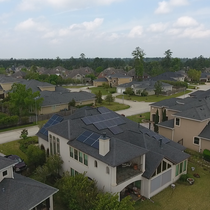 "solar panel installation for the home"
Friends, we had Sunshine Renewable Solutions install solar panels on our roof a couple of months ago and it has been an electricity and money saving experience. We are actually getting money from our electric company for producing more energy than we consume and putting it into the grid for others to use. It's an awesome way to use natural resources for energy and save money in the process. Some customers can get a tax incentive discount as well. If you are interested in installing solar panels please look them up.